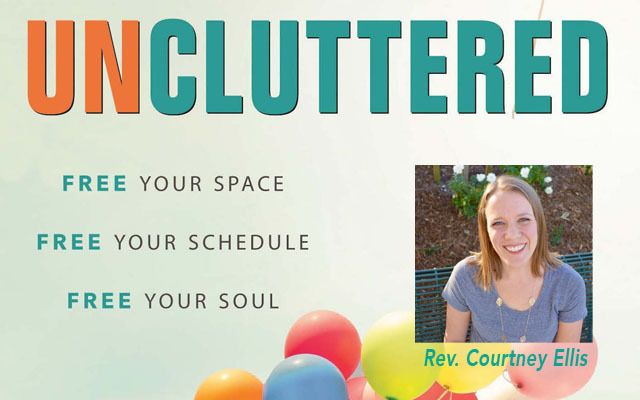 Join us in celebrating Courtney Ellis’s new book, Uncluttered: Free Your Space, Free Your Schedule, Free Your Soul. A couple of years ago Ellis, Co-Associate Pastor at Presbyterian Church of the Master, realized she’d been stuffing more and more into her life without ever taking anything away. “We are finite people,” she said. “And between too many possessions, an overflowing calendar, and an over-connected digital life, I’d reached my limit. 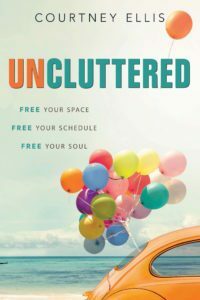 God wanted to lead me in a kinder, better way.” Uncluttered is a moving and hilarious chronicle of her family’s journey from too much to just enough, with wisdom on the Christian virtue of simplicity found everywhere from Scripture to the desert mothers and fathers to The Bob Newhart Show. Tod Bolsinger, former pastor at San Clemente Presbyterian and current VP at Fuller Seminary, calls it a “delightful and disorienting” book. A free small group study guide companion to the book will be available on its official launch date of February 1, 2019. Ellis offers retreats on the topic as well, and enjoyed leading one for Laguna Beach Presbyterian Church and another for First Presbyterian Church of Fullerton in 2018.